How to Fix “Automatic Repair couldn’t repair your PC” on Windows 10? Home »	Fix » How to Fix “Automatic Repair couldn’t repair your PC” on Windows 10? Issue: How to Fix “Automatic Repair couldn’t repair your PC” on Windows 10? I’ve received a Boot configuration error and could not to log on to my Windows desktop. That’s why I tried to use Windows Automatic Repair, which brought my another error saying: “Automatic Repair couldn’t repair your PC.” Could you please tell me if there is something that I could do to fix this situation? A guide on how to fix “Automatic Repair couldn’t repair your PC” on Windows 10? Microsoft is one of the leading tech company in the world and no one could argue with that. Windows OS is its major product, which has been used from 1983 up till now. Even though the first Windows version was not available to many people, those who had a personal computer and some IT skills were able to be the predecessor of Windows OS users. In retrospect, Microsoft has been improving the OS in a speedy and reasoned way, so that each new version of OS or its updates overcome the shortcomings of the ancestor. That’s how it should be, isn't it? Unfortunately, but the operating system is a very complicated, intricate, elaborate or, let us call, mysterious piece of invention that it can hardly be programmed in a perfect way. While some of Windows errors occur year after year, the others emerge with the new updates, patches, new OS type, and so on. Recently people started a real fuss on the official Microsoft’s forum about a paradoxical Windows 10 bug related to Automatic Repair. While Windows users tend to call this issue a “paradox,” we don’t see anything surprising here because all programs, services, processes, etc. running on Windows 10 OS can encounter issues and, therefore, fail to work. Automatic Repair is not an exception. The most important thing here is that “Automatic Repair couldn’t repair your PC” error has a solution or rather plenty of them. However, we are not going to list tens of fixes here because the majority of “Automatic Repair couldn’t repair your PC” error victims have managed to fix it by using one of these three solutions. NOTE: for all the method listed below you have to have a Bootable installation media. 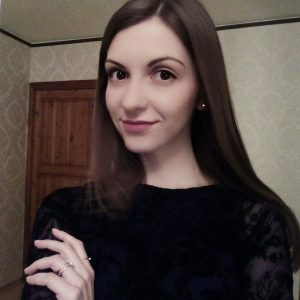 If you don’t have it yet, can create it by using this tutorial. If you cannot log on to your PC, then you should use an alternative PC, for example, friends' or work PC. Insert Windows installation media and click the Power button. Press any key to boot using an external drive. Select your language preferences and click Next. Select Repair your computer and click Troubleshoot. Press Advanced Options and select Command Prompt (With networking). 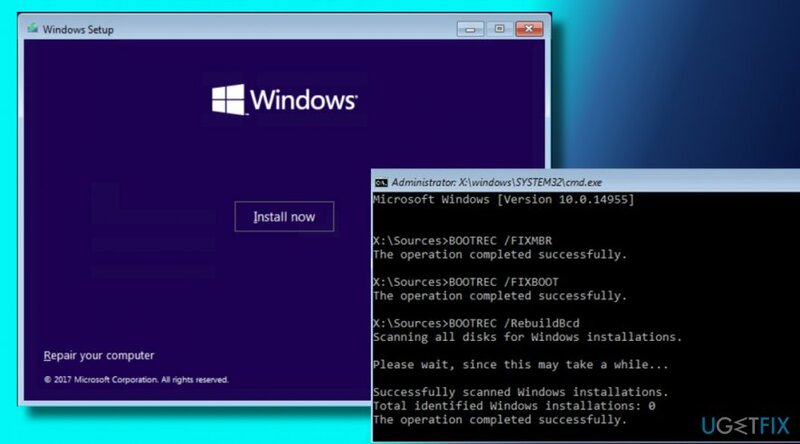 Reboot the system to save the changes and check if these commands helped to fix Automatic Repair couldn’t repair your PC error on Windows 10. Insert Windows installation media, press the Power button, and then click any key to boot from it. Select your language and press Next. Click Shift + F10 to open Command Prompt. Type cd C:\\windows\\system32\\logfiles\\srt\\ (change your drive letter accordingly). After that, type SrtTrail.txt and press Enter to open the required file in the notepad. Find File types and select All Files. 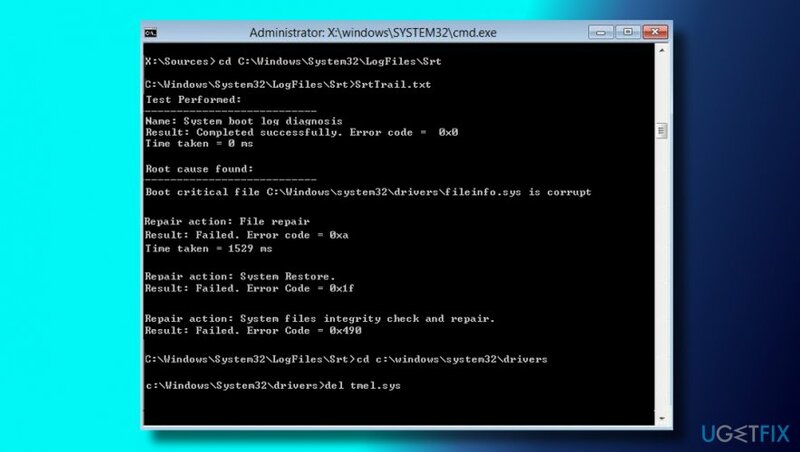 Navigate to C:\\windows\\system32, find CDM, right-click it and select Run as Administrator. 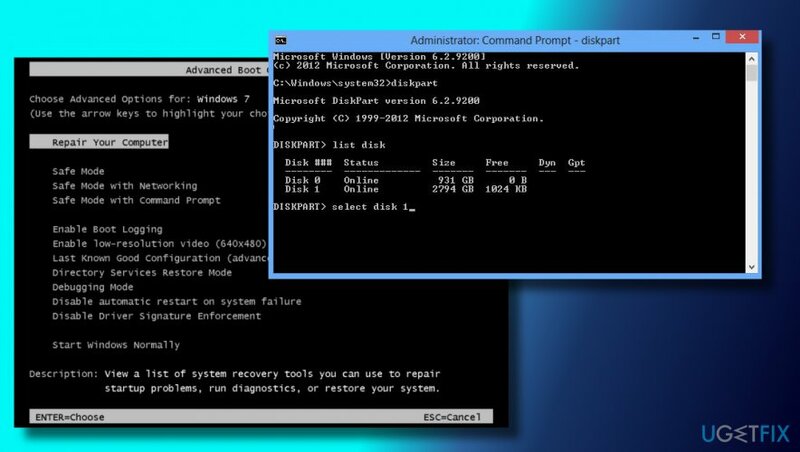 Type cd C:\\windows\\system32\\config command in the command prompt window. Hopefully, these steps have helped you to fix Automatic Repair couldn’t repair your PC bug. If you still see this error message, please let us know and we will analyze your case separately. If you have managed to fix the problem and boot into your PC successfully, we would highly recommend installing Reimage, which is a PC optimization tool with an inbuilt antivirus system. It means that one simple software will take care of your PC’s performance regarding system files, registries, and even virus/malware protection. ^ Kristin Stoller. The World's Largest Tech Companies 2017: Apple And Samsung Lead, Facebook Rises. Forbes. Online newspaper. ^ Chris Hoffman. One Year Later: Did Microsoft Listen to Windows 10 Complaints?. How-to Geek. Online tech publisher. ^ Tim Fisher. How to Fix Errors Seen During the Computer Startup Process. Lifewire. Practical advice to help you live better with technology. 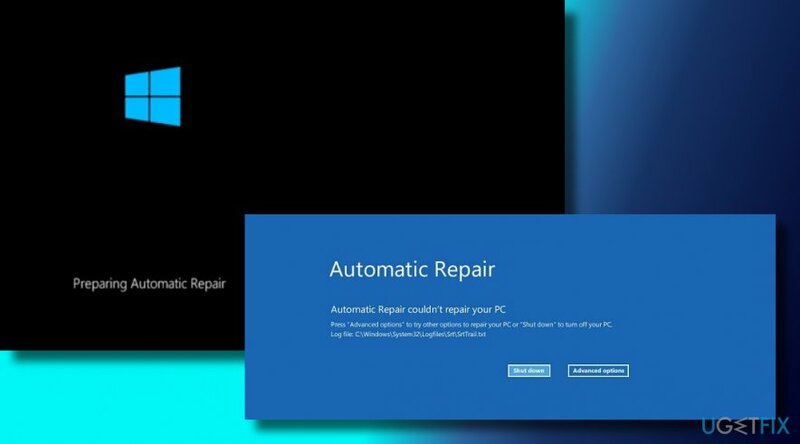 Kaip pašalinti „Automatic Repair couldn’t repair your PC” klaidą iš Windows 10?